Dry vapour steam is typically used in the food, beverage or pharmaceutical industries, producing temperatures of up to 70 degrees Celsius while using minimal water. Specialist hire machine for where extremely low water volumes are demanded. 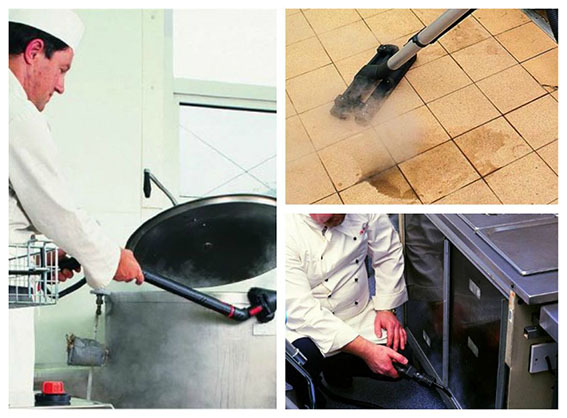 In our fleet which consists of 110v or 240v models, as well as high capacity super heated 3 phase 415v steam cleaners. In addition to this we also have available medium or mid range steam where the steam is produced in higher volumes giving a wetter steam. Typically for outdoor applications or building cleaning, oil fired, where the volumes of water are much lower than pressure washing or jet washing.